July 2016 Tip of the Month: When to Start Fall Seeds and Why You Should Give Cold Weather Gardening a Try! It’s scorching hot outside, thunderstorms are frequent, and piles of fresh fruits & veggies are coming out of the garden. That means it’s almost time to start your fall seeds! 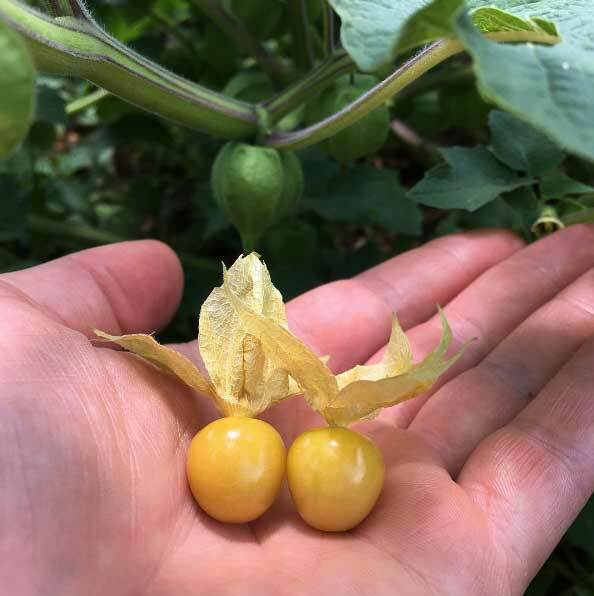 Ground cherries – a delicious summer fruit that grows best in the full heat of summer. It might not feel or taste like it at the moment, but for most areas of the country, July through September are the months you’ll want to start your fall/winter seeds indoors to transplant out in your garden 6-8 weeks later. 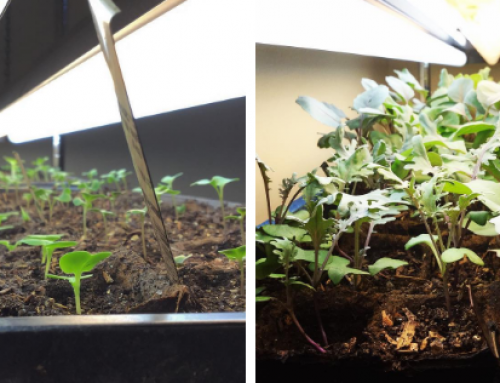 Of course, you can always direct-sow your fall/winter seeds in your garden underneath your larger summer annuals if you’d prefer – that’s what we often do with kale, lettuce, and other salad greens. 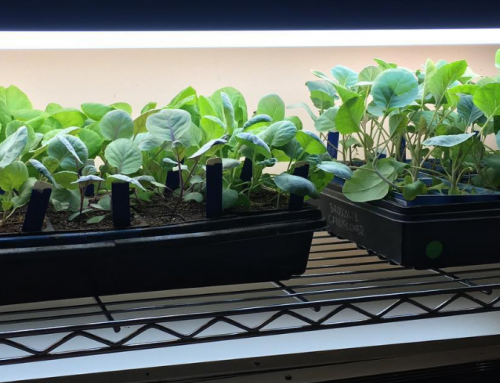 But we’ve found that we usually get much better growing results with fall crops such as Brussels sprouts, bok choy, and cabbage when we start them indoors. 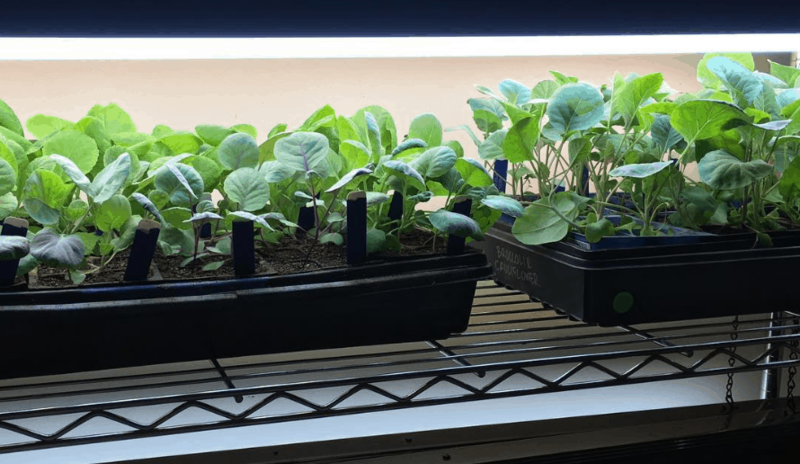 That’s because they get to enjoy six weeks growing in a temperature-controlled environment and have a big jump start on the fall growing season before we transplant them outdoors into our garden in late summer. Why Should You Garden In the Fall or Winter? Gardening isn’t just a warm weather activity. In fact, most gardeners we know who try cool weather gardening actually end up liking it better than summer gardening. 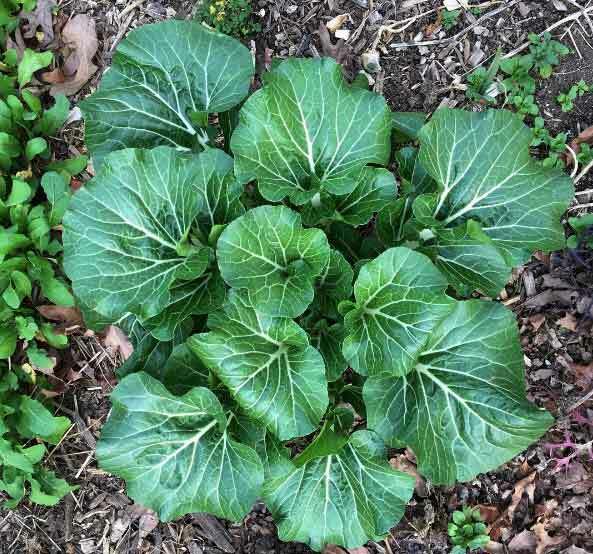 A gorgeous bok choy from last fall. Why? 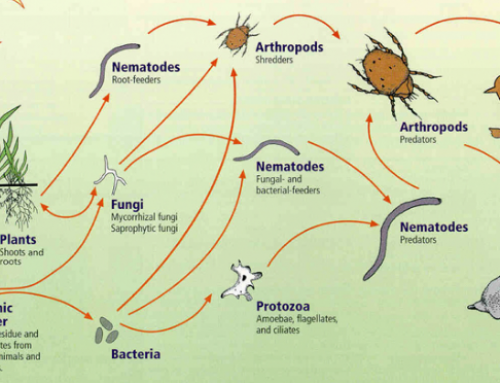 There are far less weeds, pest insects, and soil pathogens & diseases during the cool months. Plus cooler soil temperatures means less water evaporation, so your irrigation needs are minimized. Oh, and perhaps the most important reason of all: cool season crops are delicious! The “days to maturity” of the particular seed variety you’re growing (this info should be on your seed packet). 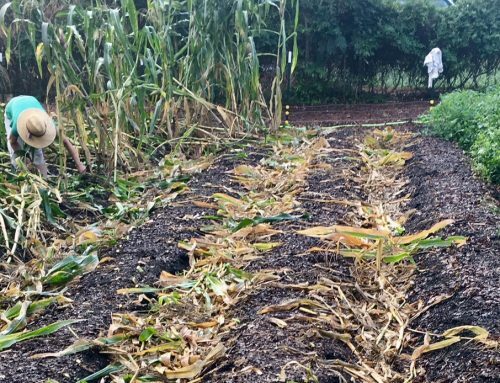 Many cool weather crops can easily survive uncovered in sub-freezing temperatures. For example, if a particular cabbage variety takes “90 days to maturity” and your first frost date is Oct 30, then you’ll want to start those seeds around August 1 (about 90 days before your first frost date). 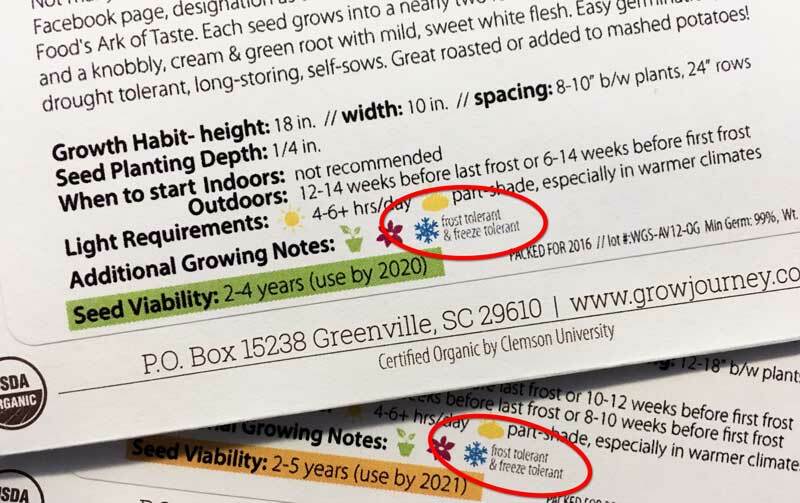 GrowJourney seed packets contain icons designed to make it easy to instantly tell the relative hardiness of the seeds inside. 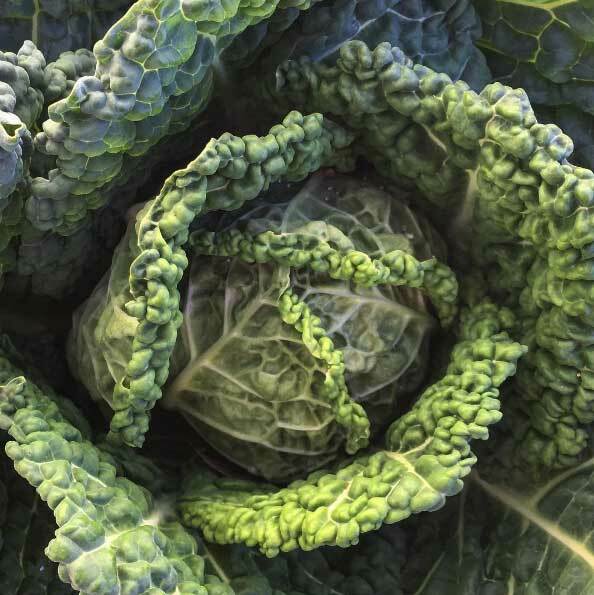 In fact, a frost or a freeze will sweeten the flavor of cold hardy veggies when the plants’ sugars become more concentrated as a natural antifreeze against the cold. 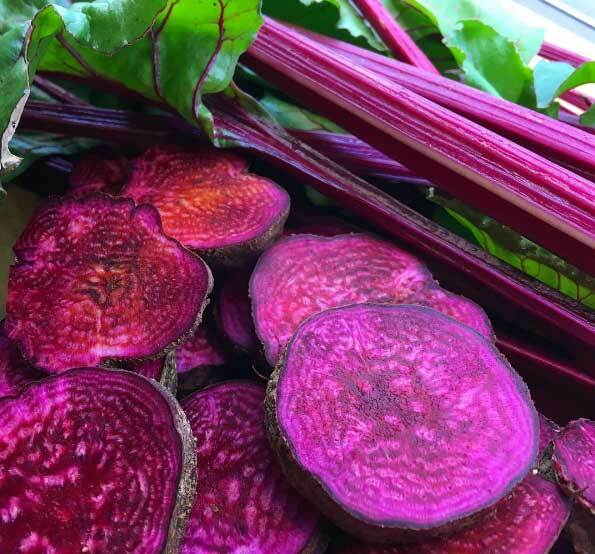 Beet roots taste amazing after a fall frost. To make it easier for you to figure out when to start fall seeds, we’ve created a fall seed-starting “calculator” that you can use to figure out when to direct sow your fall seeds or transplant your fall seedlings into your garden (if you started them indoors). Keep enjoying your sumptuous summer produce, but don’t forget to think and plan ahead for all the healthy, delicious produce you can grow in your fall and winter garden! 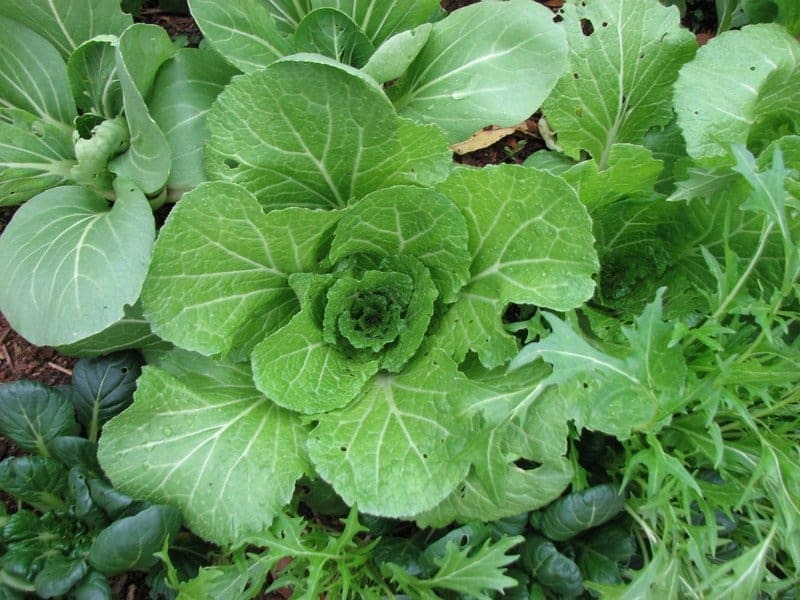 Click here to read more about starting and growing a cold weather garden.